The data center is undergoing a significant transformation rooted in the impact of server virtualization and moving toward a private cloud architecture. The network needs to evolve from the traditional static, hierarchical topology to a more flexible, cost effective solution called an Ethernet fabric. Brocade has developed this new approach to address multiple challenges including the impact on security in the virtual data center. 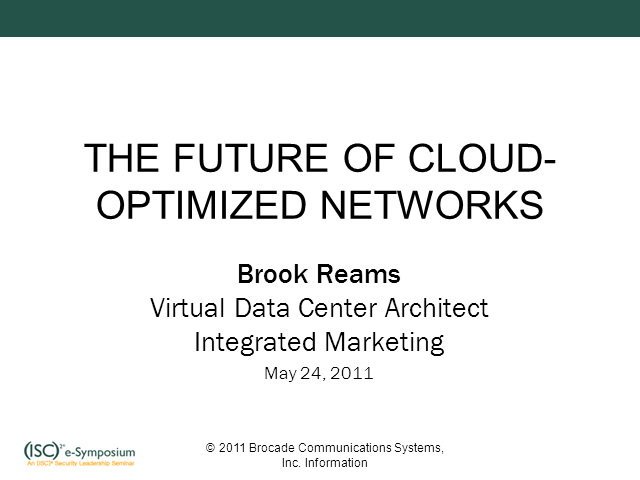 In this presentation, Brocade will present how to migrate the static data center into an agile private cloud.